Reading Terminal Market has installed a new Wi-Fi system in time for the Democratic National Convention. 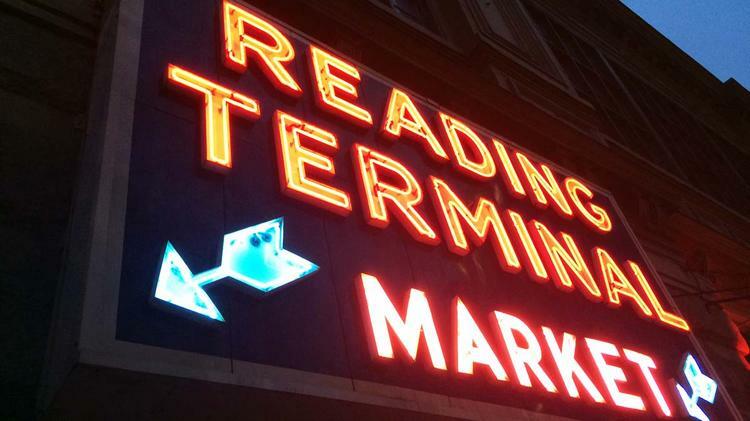 The Reading Terminal Market has finally replaced its 10-year-old Wi-Fi system – just in time for the Democratic National Convention, when the market will open an hour earlier as part of a test run of a potential new schedule. Consumers expect reliable Wi-Fi at establishments like bars, restaurants and destinations like Reading Terminal, which for months had been sifting through proposals from Wi-Fi providers in order to have a new system installed by the time the DNC begins on July 25. The Wi-Fi service is from Comcast Corp., and the hardware is from manufacturer Ruckus, whose customers include St. Joseph University, Time Warner Arena in Charlotte, North Carolina, the World Cup Stadiums in Brazil and Kimpton Hotels & Restaurants. West Chester, Pennsylvania-based WiFi Integrators for Innovation Inc. designed, installed, tested and configured the network. About 88 percent of consumers said Wi-Fi should be available everywhere, all of the time, according to a survey by Devicescape, a wireless networking software developer. More than 58 percent of respondents said Wi-Fi should be more readily available in public locations like hotels and the like. Reading Terminal will continue testing the Wi-Fi service over the next month and garner feedback for any dead spots, Gupta said. The market — which will host DNC parties almost every night after hours during the week of the convention (including one by the Democratic Governors Association) — will be opening its doors at 7 a.m. during the convention, an hour earlier than it typically opens. Starbucks: Where was the common sense and good critical judgment? The earlier schedule will only be implemented during the DNC, but there will be plans to extend that after the convention. Plans will be finalized this summer with a slated launch in the fall, either late September or early October. The goal is twofold: Serve early-bird customers and nearby residents, and to compete with the growing landscape.